You want a big screen experience through Mobile phone? The real answer is takeoff. Samsung GALAXY Beam GT 18530, the first projector phone from Samsung will be launching very soon officially. 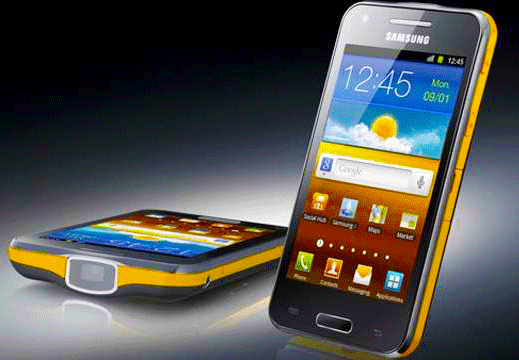 Samsung GALAXY Beam GT-I8530 will satisfy the audience of movie fans and groups. Samsung GALAXY Beam GT-I8530 was firstly announced in February, 2012. Now its pre-order starts through Samsung’s Web page. You need to pay the full amount in the beginning for Samsung GALAXY Beam GT 18530 Pre-order. Now the phone is available for Rs. 29,900. Samsung GALAXY Beam GT 18530 has a powerful Mobile Beam Projector with Ambiance Mode and Visual presenter. Long lasting Standard 2000 mAh Li-Ion battery controls its power unit to project visual efficiency and driven more effective presentation tools. 1 GHz Dual Core Processor and Android 2.3(Ice cream Sandwich) OS will have tremendously fulfill its awesome features. Samsung now announce free one additional battery pack with every purchase. Samsung GALAXY Beam GT 18530 shipping will start Next month. Connectivity: Bluetooth, USB, Wi-Fi, AGPS etc.